Being a relative newbie to the world of coffee, it came as a surprise just how hard it was to hire good, motivated, and engaged baristas. In my first few weeks in the role of CEO at The New Black Coffee, I tried all the regular recruitment channels; job agencies, press, advertising, and netted 80 applications. I shortlisted these to 10 interesting candidates, and scheduled each one for an interview. Much to my surprise, only two people actually turned up for the interviews and these were duly hired. However, within a few short weeks neither of them had displayed the necessary reliability and were swiftly terminated. It quickly became apparent that coffee, like much of the hospitality industry, suffered from an all too familiar laissez faire attitude from its staff. Unlike continental serving staff, the role of barista was viewed as a stepping stone, or waiting room, until something serious came along, leading to poor attendance, lack of job satisfaction, a general lack of emotional engagement in the role, and an unwillingness to really commit. The coffee industry needs an attitude adjustment, writes the CEO of one of the City’s top coffee bars. As the weeks passed, and I shared my frustration with others in the coffee industry, I discovered that this was a malaise that affected us all, and gave rise to high staff turnover, poor consistency in product and customer service, and was proving a hindrance on an industry-wide basis. With a background in financial services it became clear to me that the world of coffee and the people who worked therein were operating with a very different mind-set to more mature industries. 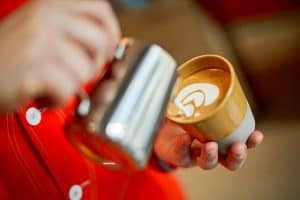 In my wider conversations with the likes of Tim Ridley of United Baristas, Simon Lewthwaite of Caravan Coffee Roasters, and the powers that be from Climpson Coffee, we reached a consensus; the fault lies not with the barista or would-be DJ/musician/artist, but with us as the employers. We need to change the conversation. We need to build structure, methodology and emotional investment in both the company, the role, and the wider industry. We need to involve our counter staff in the decision making processes, give them an insight into how the companies are run, and map out a really clear career path for them. This probably starts with a structured training program and definitive career steps, but leads eventually to success incentives, potential employee share options and a CV and career to be really proud of. Turning this gig economy mind-set into a more professional approach should lead to a career they can aspire to and bring the material rewards that complement the spiritual satisfaction making great speciality coffee brings. It’s time for the coffee industry to grow up. It’s time for us to start building a pool of educated, empowered, future leaders and communicating that plan to its intended participants: baristas, kitchen staff, and front of house. 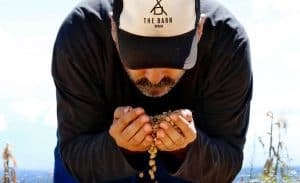 If we can convince them to come on the journey with us, then we can start to build from that base and help the nascent coffee industry start taking its first steps as an adult.